The essence of astrology lies in understanding the meaning of the planets. The meanings of the signs, houses, aspects and other astrological factors are determined by the planets that rule and signify them. Astrology is nothing but the science of the planets, as the forces of the stars manifest through them. The sacred sacrifice has a deeper meaning, the meaning that symbols have, the meaning that is really valuable for human progress. Every rite is a symbolic act. The sacrifical rite is correlated at every step with human aspirations and spiritual discipline. It is kept in touch with human life and aspirations in its minutest detail. Butter is the product of the churning of the emotions, impulses, impressions and instincts of man; the purest and the most authentic essence of the divine in man. That butter, when it is still more clarified, becomes ghee; it is that which is offered to the Gods. You may ask how it reaches the Gods. Well, the Veda itself is the authority for that belief. You cannot demand any other; for it will be as foolish as asking the eye to prove by some authority unconnected with the eye, the validity of what it has seen. How can the ear give some other authority to prove the genuineness of the sound which it alone can hear? The eye is its own authority, the ear is its own testimony. The Veda which has probed into the science of propitiating the Gods says that the Sacrificial Fire conveys the subtler aspects of the offerings. And the Veda is its own testimony. Indra (The Lord of celestial Gods) is the presiding Deity of the Hand and the Indra sacrifice confers the communion of human labour; the collective co-operation of human industry for the progress of the individual and of society. Also, Brihaspati (Spiritual teacher of celestial gods) is the Deity of the Intellect and the sacrifice associated with his name establishes cordiality and coordination. 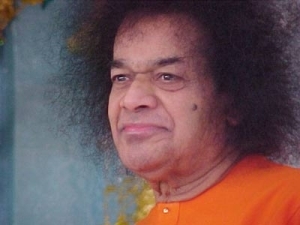 The Chandra sacrifice for the Moon similarly tends to develop the harmony of hearts and the Aditya sacrifice for Sun gives the promotion of sameness of vision among all, for the Sun is the Deity presiding over the Eye. Every yajna has a great unseen influence on human affairs, for these mantras are potent sounds, charged with subtle mysteries. This shows the interweaving of two sequences. The days of the inner planets which lie between the orbit of the Earth and the Sun are positioned between the outer planets. 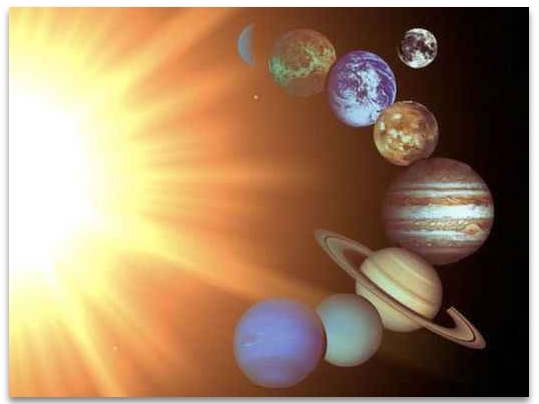 Planetary energy begins with the Sun and follows this sequence to Ketu at the end. Each planet represents a stage in the development and distribution of solar energy. Each planet can be understood through its respective number. If you wish to seek an astrological reading with the Puttparthi Vedic Astrologer, Sai Bharathi you may do so below and make payment thought Paypal.